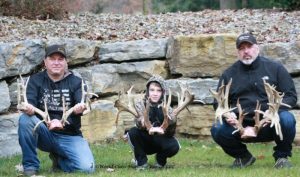 Another father, sons and grandson hunting trip to Ohio’s Premier Hunting Preserve, World Class Hunting Ranch. 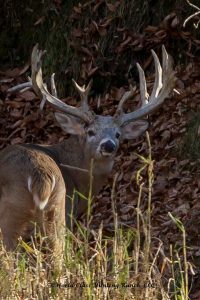 Darren, Jerry, their Dad and Grandson Rowdy were highly intrigued with the many Big non-typical bucks on the ranch. 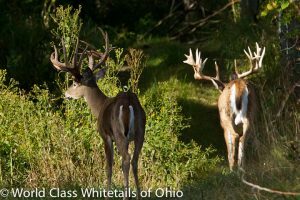 And were not expecting to be able to harvest any of these bigger bucks, as they had booked in the 150 to 200 range. 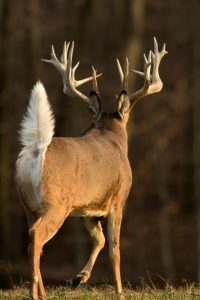 And, in fact Deak was just along for the ride! 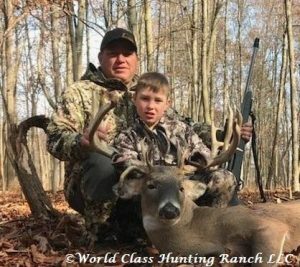 But as often happens in the rut, there were some deer that had picked fights with the wrong bucks and so Deak was able to harvest a 235″ Buck at a whale of Bargain! 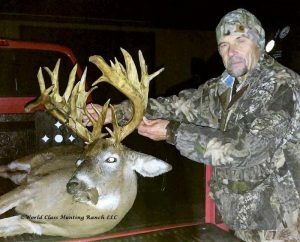 Earlier in the day Jerry had an opportunity to harvest this beautiful Whitetail buck with 37 points! 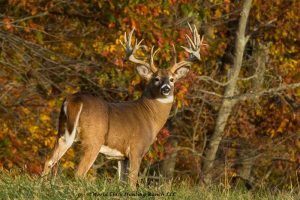 Darren still had not found the buck he wanted to harvest, so on Tuesday morning after sitting and stalking the forenoon, Darren was still debating on a few different bucks they had seen. 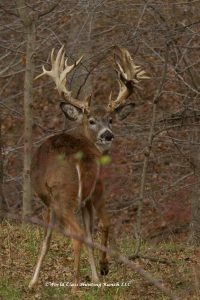 When along comes this nice typical buck he had seen earlier in the hunt. 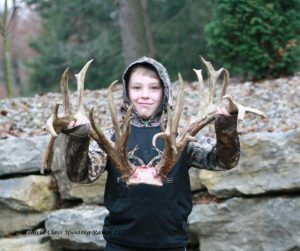 Darren drilled him, there was no hesitation and wow, what a buck! This family adventure was an awesome one to be a part of! We are looking forward to seeing you all back next season! 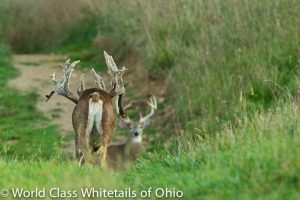 Stanley and Matt headed out for a Bow hunt on Wednesday, and they were kinda looking for a buck we nicknamed Nascar, because of how we seen him all over the place, seemed he never ran out of energy, always chasing does, and causing trouble with other bucks! 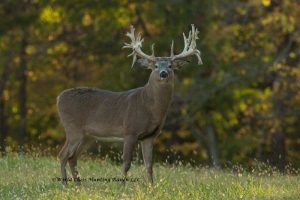 They were able to get him close to the blind late afternoon, and Stanley drilled him good, long story short, this buck seemed to act more like a cat than a deer! (You know how they say cats have nine lives) Well, he finally gave up. 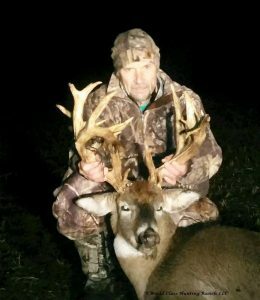 Stanley also harvested a doe for some extra meat and is on his way back to South Carolina. 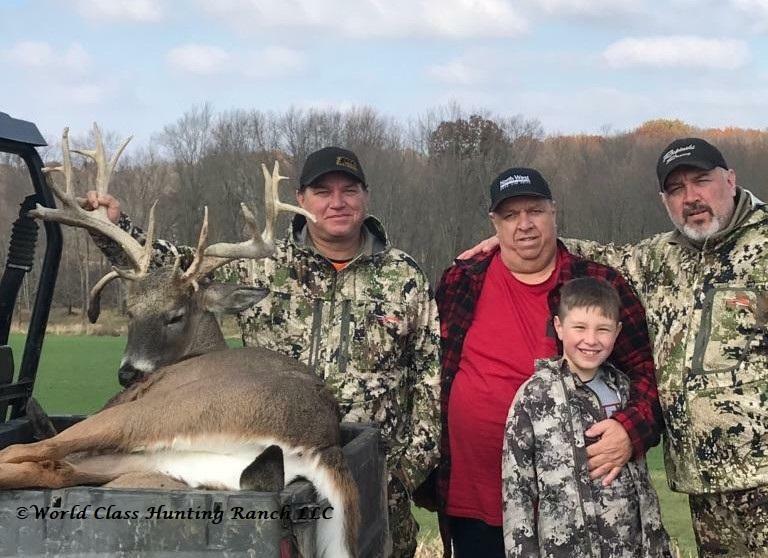 Thanks for hunting with us Stanley, we look forward to seeing you again next season!